So you think you know your universe? We’ve got our own top 10 list on the most interesting facts about the Universe. The most widely accepted cosmological model is that of the Big Bang. This was proven since the discovery of the cosmic microwave background radiation or CMBR. Although, strictly speaking, no one knows exactly what ‘banged’, we know from extrapolation that the Universe was infinitely hot at birth, cooling down as it expanded. In fact, even only within minutes of expansion, scientists predict its temperature to have been about a billion Kelvin. Moving backward to 1 second, it is said to have been at 10 billion Kelvin. 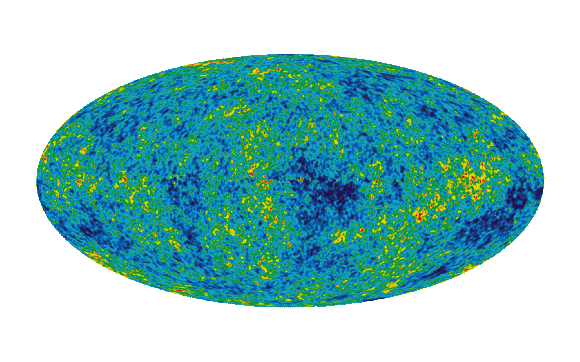 For comparison, today’s universe is found to have an average temperature of only 2.725 Kelvin. Observations made especially on galaxies farthest from us show that the Universe is expanding at an accelerated rate. This, and data that show that the Universe is cooling allows us to believe that the most probable ending for our universe is that of a Big Freeze. That is, it will be devoid of any usable heat (energy). It is due to this prediction that the Big Freeze is also known as the Heat Death.Accurate measurements made by the Wilkinson Microwave Anisotropy Probe (WMAP) on the current geometry and density of the Universe favor such an ending. Current estimates as with regards to the size of the Universe pegs it at a width of 150 billion light years. Although it may seem peculiarly inconsistent with the age of the Universe, which you’ll read about next, this value is easily understood once you consider the fact that the Universe is expanding at an accelerated rate. If you think that is amazing, perhaps equally remarkable is the fact that we know this to better than 1% precision. Credit goes to the WMAP team for gathering all the information needed to come up with this number. The information is based on measurements made on the CMBR. Older methods which have contributed to confirming this value include measurements of the abundances of certain radioactive nuclei. Observations made on globular clusters, which contain the oldest stars, have also pointed to values close to this. Combining this geometry and the idea of an invisible entity known as dark energy coincides with the widely accepted ultimate fate of our universe, which as stated earlier, is a Big Freeze. Considering only the largest structures, the Universe is made up of filaments, voids, superclusters, and galaxy groups and clusters. By combining galaxy groups and clusters, we come up with superclusters. Some superclusters in turn form part of walls, which are also parts of filaments. The vast empty spaces are known as voids. That the Universe is clumped together in certain parts and empty in others is consistent with measurements of the CMBR that show slight variations in temperature during its earliest stages of development. Different wavelengths in the electromagnetic spectrum such as those of radio waves, infrared, x-rays, and visible light have allowed us to peer into the cosmos and ‘see’ huge portions of it. Unfortunately, an even larger portion cannot be seen by any of these frequencies. And yet, certain phenomena such as gravitational lensing, temperature distributions, orbital velocities and rotational speeds of galaxies, and all others that are evidence of a missing mass justify their probable existence. Specifically, these observations show that dark matter exists. Another invisible entity known as dark energy, is believed to be the reason why galaxies are speeding away at an accelerated rate. Nope. The earth is not the center of the Universe. It’s not even the center of the galaxy. And no again, our galaxy is not the entire universe, neither is it the center. Don’t hold your breath but the Universe has no center. Every galaxy is expanding away from one another. The members that we are talking about are the galaxies. As mentioned earlier, they are rushing away from each other at increasing rates. In fact, prior to the findings of most recently gathered data, it was believed that the Universe might end in a Big Rip. That is, everything, down to the atoms, would be ripped apart. This idea stemmed from this observed accelerated rate of expansion. Scientists who supported this radically catastrophic ending believed that this kind of expansion would go on forever, and thus would force everything to be ripped apart.